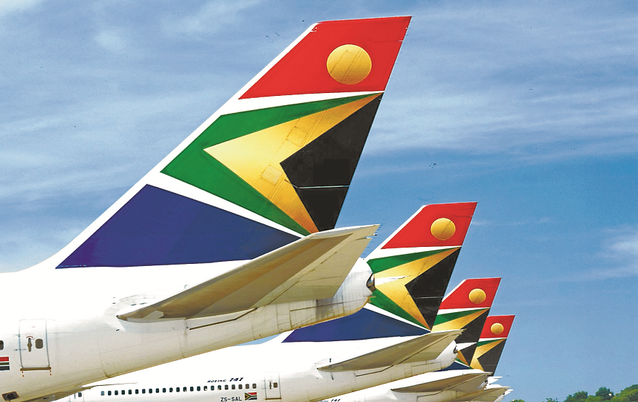 Dudu Myeni, controversial chairman of SAA and founding chairman of Jacob Zuma foundation, stands accused of fraud and corruption, which has almost reduced a once great airline to bankruptcy, if it were not for tax-payer support. 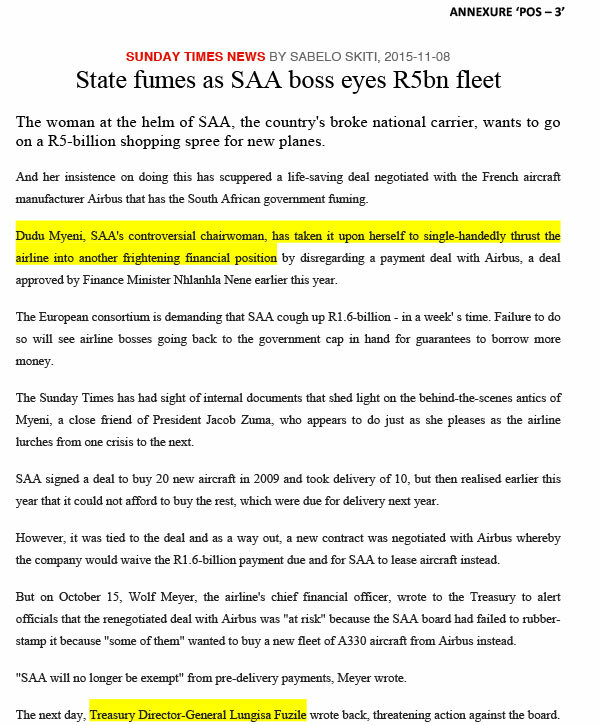 In 2013, when the then CEO of SAA appointed transactional advisors for the fleet replacement project, estimated at R65 billion, Myeni is alleged to have walked into his office and complained bitterly, that he was delaying her ability to retire, by not allowing the fleet replacement programme to be managed in-house. 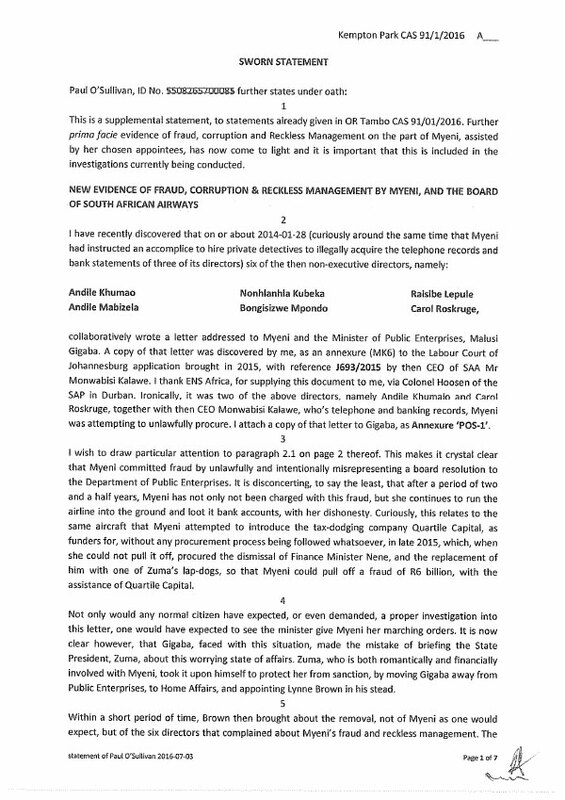 Myeni friend and fellow board member, Adv Lindiwe Nkosi-Thomas, then instructed Pretoria private investigator, Hennie Theron, to dig up dirt on the CEO. 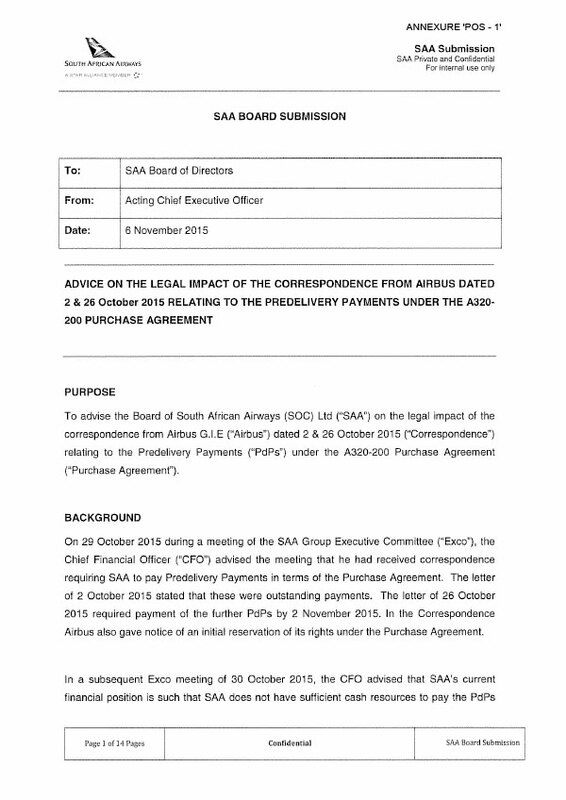 Theron subsequently attempted to unlawfully obtain the cellular records and bank records of the CEO and two non-executive directors. 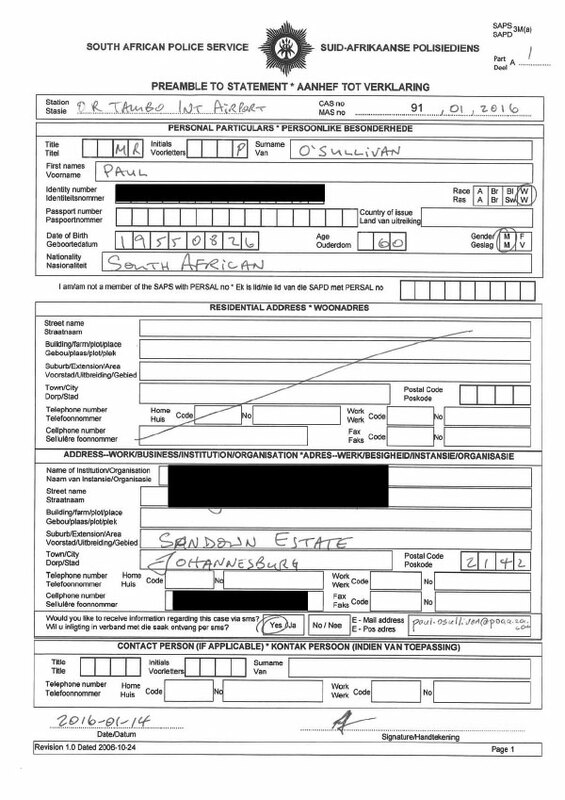 Refusing to participate in a criminal breach of privacy, Paul O’Sullivan provided a sworn affidavit to the CEO, about the criminal attempt to acquire his cellular and bank records. 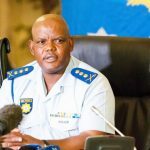 Nkosi-Thomas resigned from the board a few hours before she was supposed to attend a special board meeting, to explain her conduct. 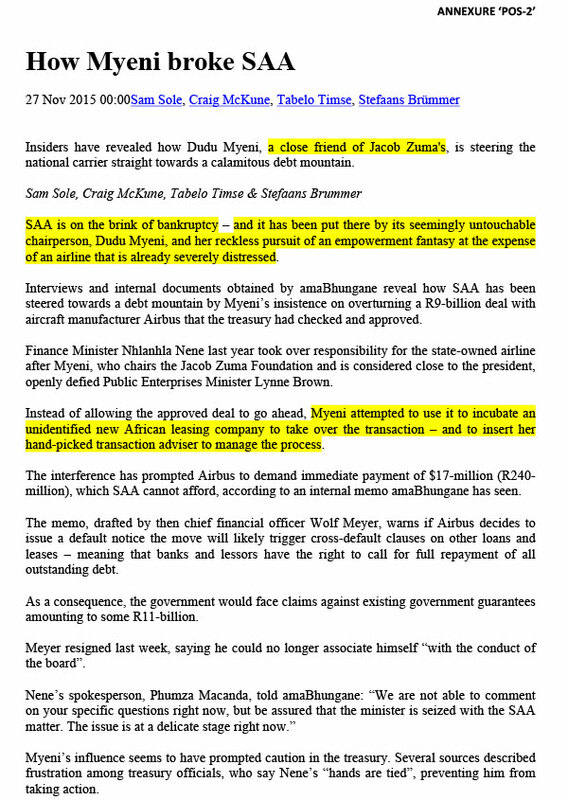 Months later, in order to wrestle control of certain multi-billion Rand transactions, away from the CEO, Myeni procured his suspension. 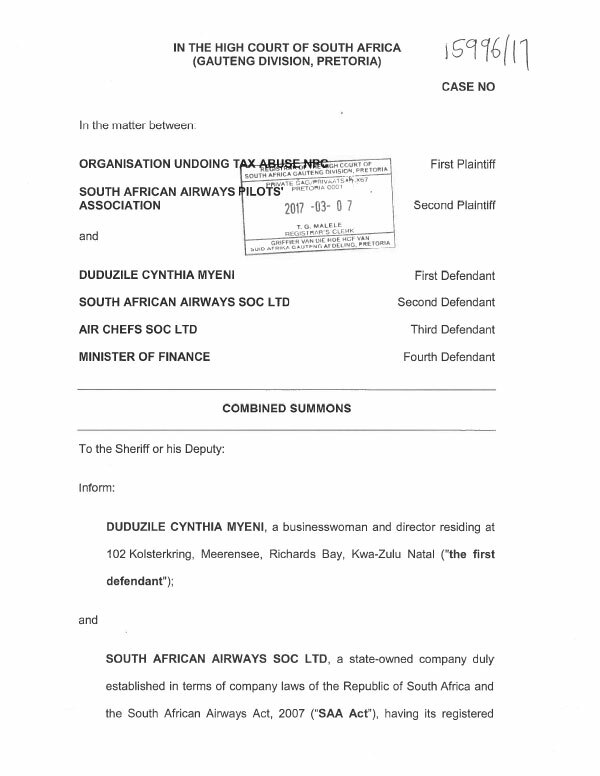 She now stand accused of running the airline into the ground for private gain. 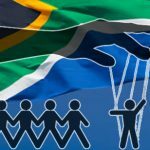 Her fight-back campaign includes the squandering of millions of Rand of Tax-payer funds on lawyers at ENS, and other non-registered ‘consultants’, aimed at bringing false criminal charges against the people who have exposed her patent lack of ethics. Meanwhile, the criminal charges against her, appear to have gained no ground. 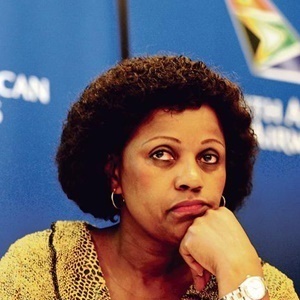 Is the criminal justice system ‘captured’ in favour of people like Myeni? You be the judge. Send Us A Message and We'll Call You.